The Kastrouli Project is accepting Brandeis and Wesleyan students and alums to participate in an intensive archaeological field school under the supervision of faculty from Wesleyan University, Brandeis University, and the University of the Aegean, which runs from July 9 to July 29, 2018. 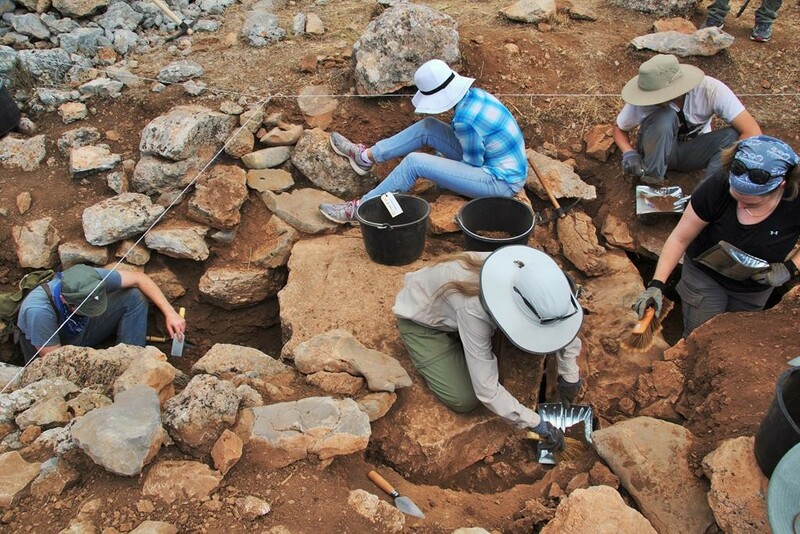 Students participate in ongoing excavation and research projects at the site, including the study, registration and curation of architecture and finds recovered during this and previous seasons. All field- and lab- work, lectures and site visits will be guided by experienced faculty from all institutions. Brandeis students can receive academic credit through the University of the Aegean. Wesleyan students may participate in the field school for academic credit through Wesleyan. To receive Wesleyan credit, they must enroll upon their return in an independent tutorial (CCIV 401 or ARCP 401), during which they will work with Prof. Birney on a short research project related to their work at the site. Participants will be hosted both at the local tavernas and with some local residents of Desfina town. This is a great way to get to know the local community, and pick up some modern Greek! Lunch and dinner will be provided at local restaurants. The cost for the season is €1600 ($2000) and includes full room and board, all tours, lectures, lab materials and facilities. Airfare is not included. The preliminary application deadline is March 1, 2018. There are a number of fellowships and grants which can be used to support field school participation, particularly for those who have no prior excavation experience. Note that deadlines tend to be in the late winter/early spring, so plan ahead! More information on funding and fellowships can be found on our Funding Sources page.